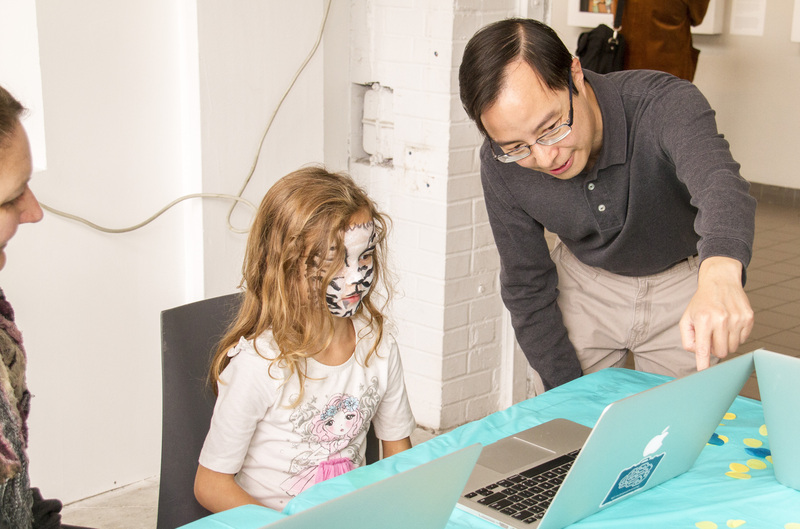 CoderDojoTo did a drop-in coding session at Children’s Literary Festival hosted Bi-annually by Toronto Public Library. This year held at Toronto Harbourfront, Queens Quay. With various Children’s authors, illustrators, and musical talent. We would like to extend a HUGE thank you to all who mentored, volunteered, and contributed to our 2016 fundraising campaign which helped make all of our events possible throughout the year! Thank you for your continued support, and we look forward to seeing you out at our events in the new year! 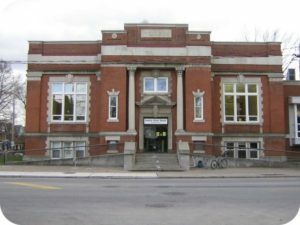 CoderDojoTo will be holding a pop-up kids coding event next Saturday, October 22nd at Book Bash, a free youth event put on by Toronto Public Library. 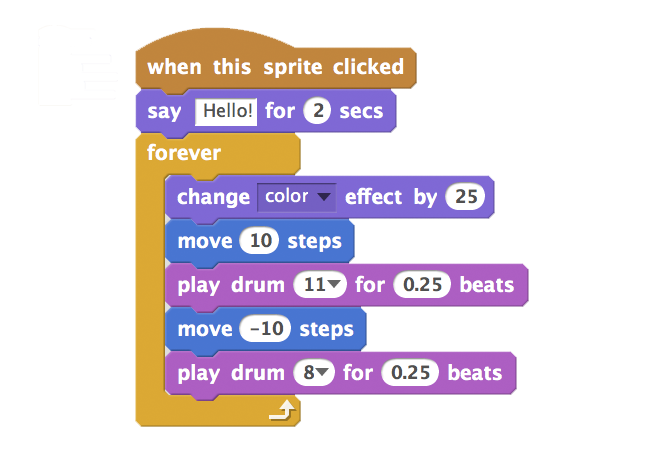 CoderDojo is will run a drop-in kids coding workshop learning material. Families are invited to join us at Book Bash @ Harbourfront Centre on Saturday, October 22 from 12:00 – 4:00 p.m. The day is a free, fun-filled afternoon of storytelling, music, writing and illustrating workshops and demos, tech fun, puppet shows, theatre, magic, and author signings. 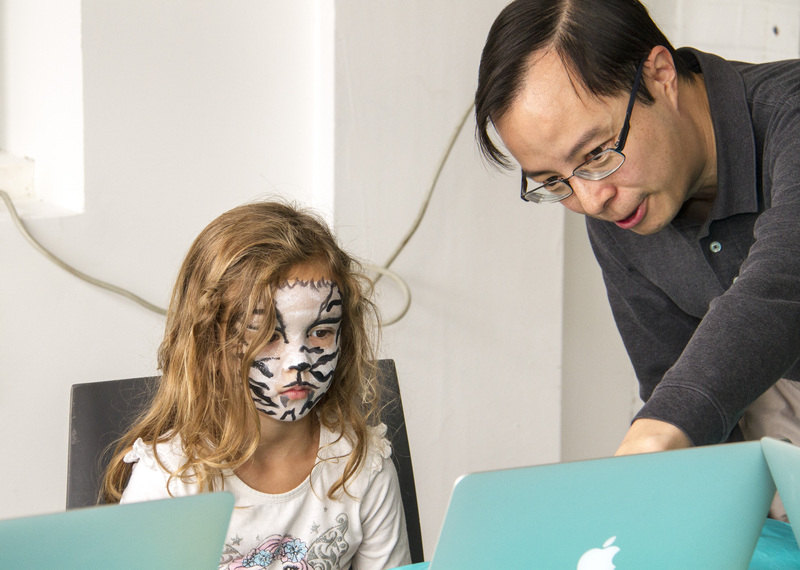 CoderDojoTo will be holding a drop-in computer workshop for kids.Book Bash is a celebration of children’s literacy and the joy of reading, and we’re thrilled to welcome some of Canada’s most renowned children’s authors, illustrators, storytellers and musicians. All are welcome to come dressed in costume! The Ben McNally Bookstore at Habourfront Centre will host author signings and sell books by our guest authors throughout the day. Toronto Public Library Bookmobile will be parked outside Harbourfront Centre for you to borrow library materials. Don’t forget your library card! CoderDojo has won the prestigious European Citizen’s Prize. 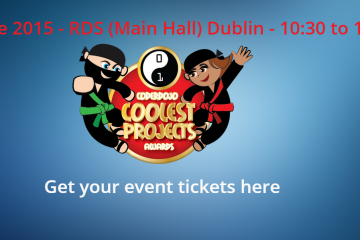 CoderDojo is the only Irish based organisation to win the award this year. Our non-profit network of free coding clubs for young people, which originated in Cork, is now in 63 countries worldwide. Since 2008 the Parliament awards the European Citizen’s Prize every year to projects and initiatives that facilitate cross-border cooperation and promote understanding within the EU. CoderDojo was nominated by Seán Kelly MEP (Ireland South). Modules for mentors to improve their knowledge of the CoderDojo Ethos. Learning isn’t just for the young. 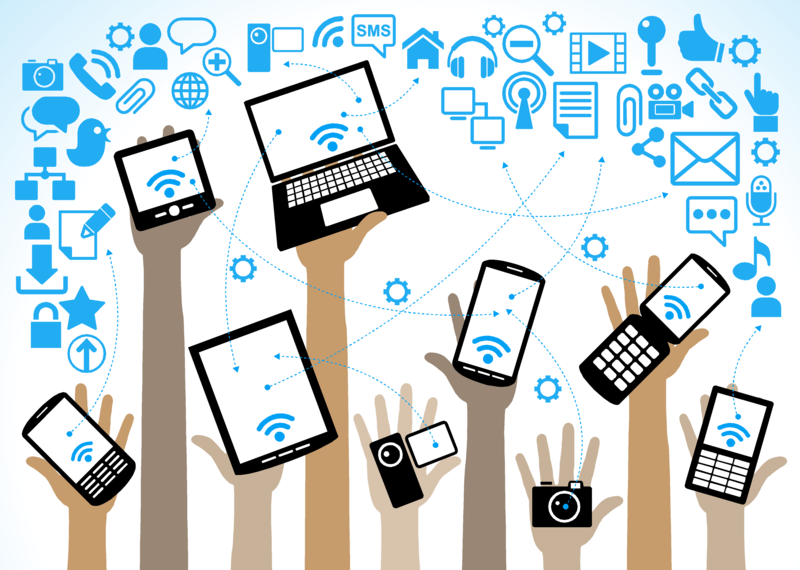 At CoderDojo we fully believe in lifelong learning which is why we are launching our first E-Learning modules. These two pilot modules are made for volunteers to improve their knowledge of the CoderDojo Ethos and how to mentor at CoderDojo. The CoderDojo Ethos module is great to learn about what the core principles of CoderDojo are and how to put them into practice. It gives learners an insight in best practices for setting up and running a Dojo to encourage key principles such as youth-led learning, and peer mentoring. What’s cool? Once you complete and evaluate either of the two modules you will receive a badge for your efforts which will be automatically added to your profile! 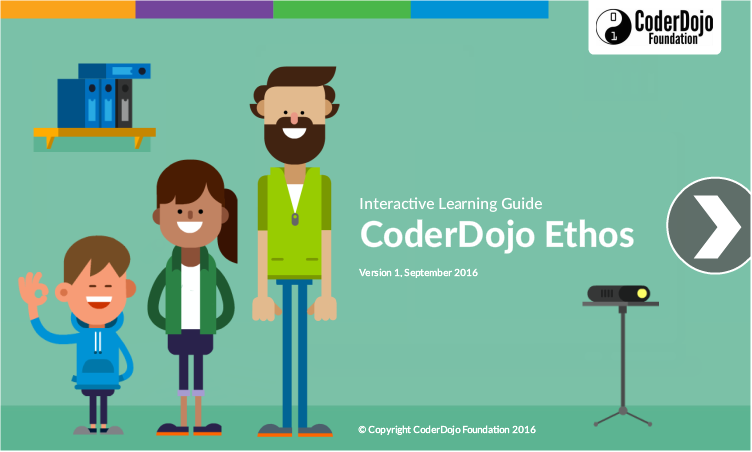 The CoderDojo Mentoring module give top tips from other mentors around the world and introduces you to some mentoring styles used at Dojos as well as scenarios in which you should adopt these styles. It also gives you an overview of the content available to mentors and how to plan content for your Dojo! How do I take the modules!? Just log in or register on the CoderDojo Community Platform. You can find the E-Learning module button on your profile menu. If you are registering for the first time, make sure you have joined your Dojo – remember the Champion will have to approve your request to join which may not be instant! Who should take the modules? All volunteers – from Champions to technical mentors to non-technical volunteers. We especially encourage Champions to get new volunteers to take these modules so they get a flavour of what CoderDojo is and keep it fresh in their mind when they start to mentor. We want to take this opportunity to thank our partners for this project without whom we could not have delivered such amazing results! 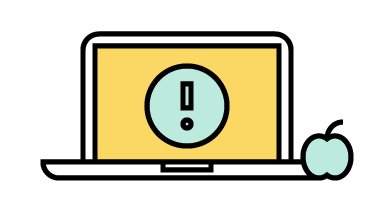 If you have feedback on the E-Learning Modules please add it to the survey at the end of the module or get in touch with CoderDojo on info@coderdojo.org. For more resources and advice see the CoderDojo Foundation’s #BackToDojo post. Computer programs are often described as “sets of instructions”,and computer languages are thought of by many as merely the syntax and vocabulary for providing these instructions. From this point of view, different programming languages may have different grammars, or different vocabularies. Each may treat semi-colons a particular way, or require capitalization — but they are sort of the same underneath all that. The reality of programming is much more complicated than that. 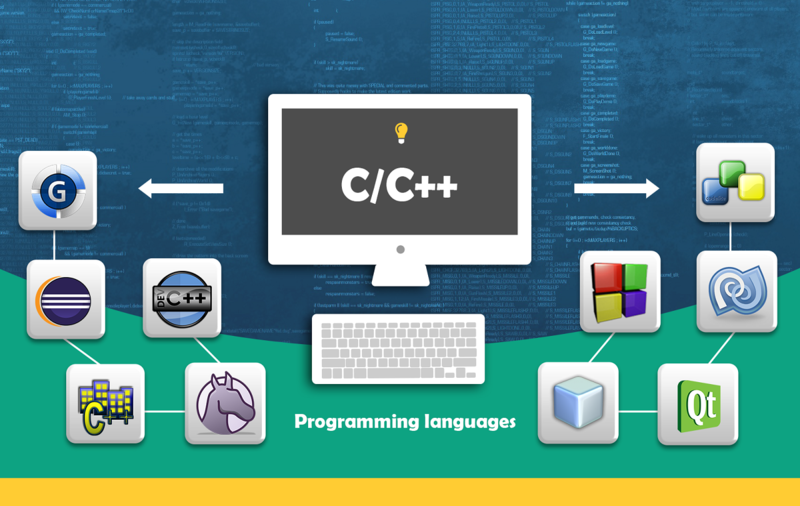 Learn more about computer languages and their history.